The wide, heart-shaped brush has small bristles at the top and long ones at the base; it’s ophthalmologist-tested and safe for contact-lens wearers. The mixed bristles grab lashes from every conceivable angle, catching even the tiny ones at the inner corners of the eye. 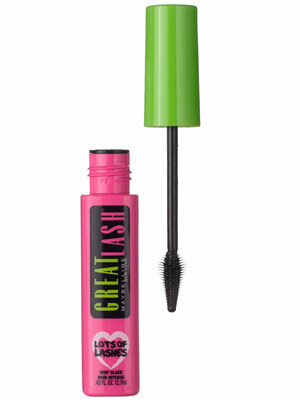 Plus, the formula is thin, so lashes stay full and long with no clumping.